I know this is a cover version, but this was to good not to share... What do you think to it? This samples two well know nineties tunes. I don't normally enjoy remixes or reworked tracks... however this one is done so well! Also the videos a good laugh! I guarantee after one listen you'll be hooked and be playing it on repeat. This whole group is made up very talented songwriters, musicians and singers. Find out all about them on their website RED SKY JULY . I've featured them before as a favorite and I've decided to feature them again because each album just keeps getting better and better. Really impressed with Sheppard and this tune. They kinda remind me of Alphabeat with their quirkiness, and Scouting For Girls with their pop sound. This song is super catchy and I'm sure that they're gonna go far if they keep churning out awesome pop tunes like this. Our tracks been out for ten weeks now and is doing great. PLEASE keep downloading as with your help maybe we could make it into the Beatport or Itunes chart. 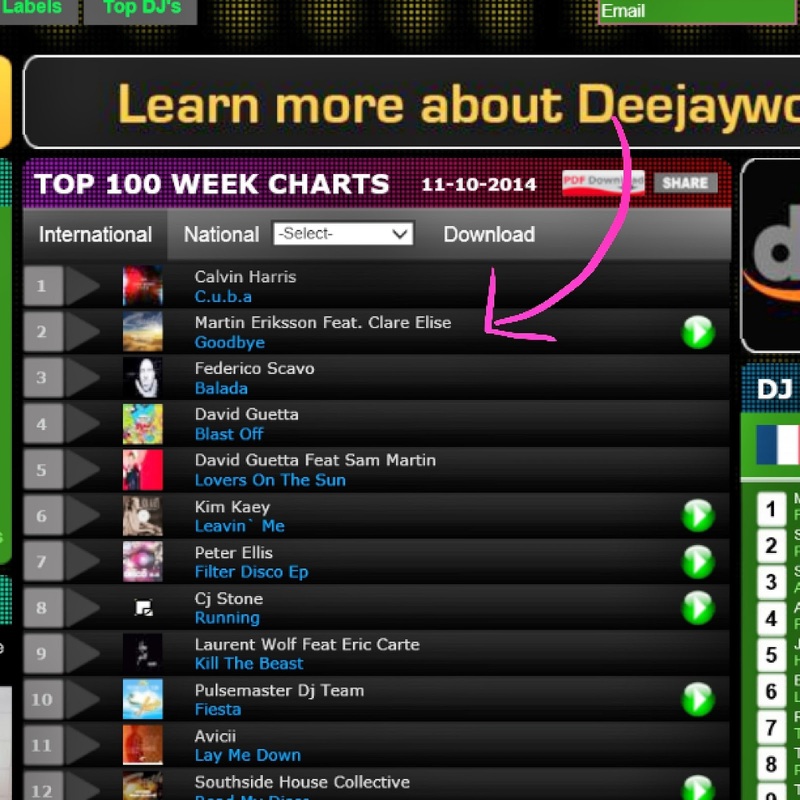 However check this out... after 10 weeks out there Goodbye by Martin Eriksson ft: Clare Elise is now back at number 2 in the Deejayworx Charts!!!! !